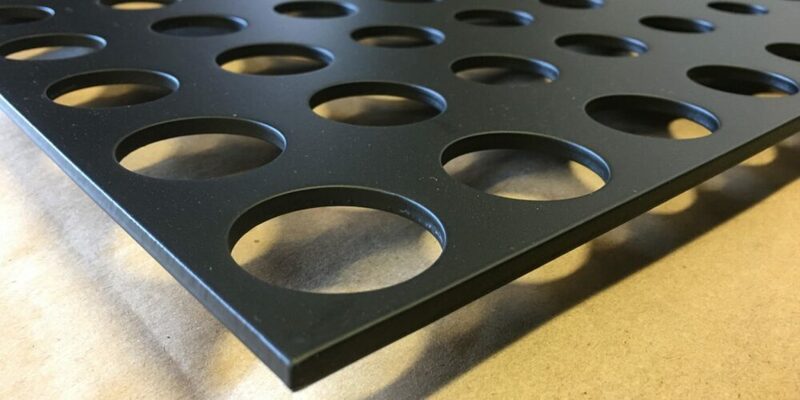 Laser Cut Perfection at the Maximus Office – As leaders in sustainable real estate development, designers for Maximus turned to neighbors at Móz to produce Laser Cut metal sheets to partition their corporate office. Maximus Real Estate Partners is the fastest growing real estate investment and development company in the San Francisco Bay Area. With over 5,000 multifamily apartments and 7,000 in the pipeline, the company is leading a revolution in the real estate industry. Their mission: to create mindfully innovative, sustainable “whole living” communities that transform the concept of urban living. 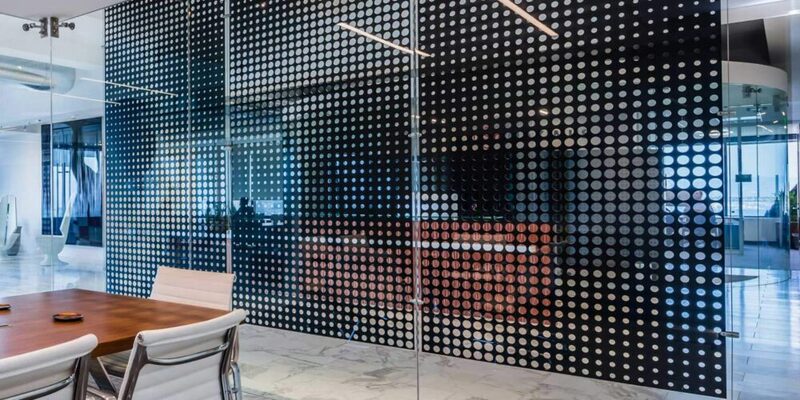 For the design of their corporate office, Studios Architects aimed to support Maximus’ green building initiatives by sourcing only locally and sustainably manufactured products. 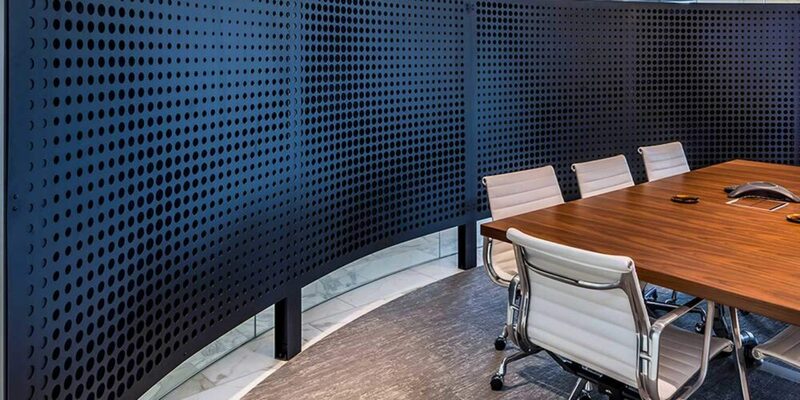 As neighbors in the Bay Area, Móz’s metal sheets offered the perfect material solution for the Maximus office. 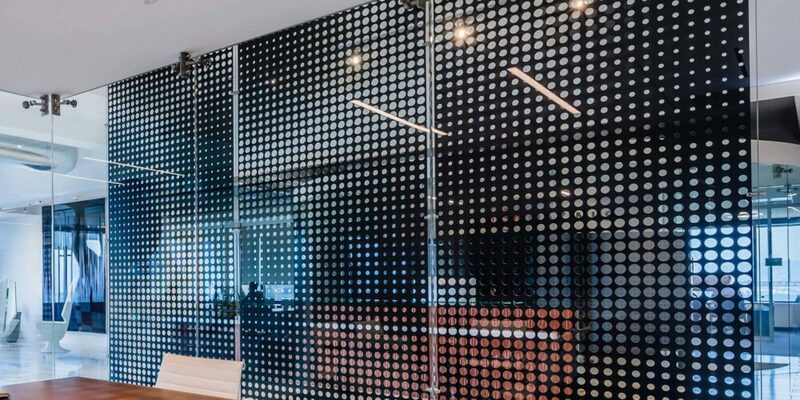 Matte black aluminum panels finished with a unique laser-cut pattern partitioned the office with a bold dotted gradient.